Written for an originally posted on CSG’s Blog. Central Seattle Greenways was started a little over a year ago by Alexa (now in Portland), Tom, David, and Adam as the local chapter of Seattle Neighborhood Greenways serving the Capitol Hill, Central, Leschi, and Madrona neighborhoods. In barely over a year, countless neighbors have worked together to create a better place to live, work and play where anyone can get around safely by walking or biking. We did not do it alone – it takes a committed community of individuals, elected leaders, businesses, and groups to change our neighborhoods for the better. For 2013, we have an ambitious list of priority projects that will help create safe and healthy streets for our children and our grandparents. We can’t do this alone. We hope YOU will join us in this community effort! Special thanks to: Mike Kent, the Melrose Promenade Advisory Committee, Sustainable Capitol Hill, the Seattle Parks Foundation, Stewardship Partners, and others. SR 520: CSG volunteers worked with many partners to identify and advocate for connections that are all-ages-and-abilities in the SR 520 reconstruction design. We were able to fundamentally change the debate around the SR 520 reconstruction by focusing public attention on the failure of the design to serve people of all-ages-and-abilities, and its potential to better connect our neighborhoods if done right. 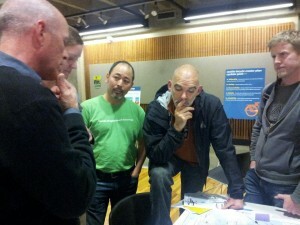 The Seattle City Council, WSDOT, and the community now are all in agreement that more work must be done to provide quality connections before the design is finalized. Special thanks to: City Councilmembers Sally Bagshaw, Richard Conlin, and Tom Rasmussen, the Mayor’s Office, Cascade Bicycle Club, the rest of the City Council, the Capitol Hill Chamber of Commerce, the Capitol Hill Community Council, the Montlake Community Club, Montlake Greenways, Seattle Neighborhood Greenways, and many others. Thank you! Neighborhood Greenways: We researched, discussed, and proposed an all-ages-and-abilities network for the Capitol Hill, Central District, Leschi, and Madrona neighborhoods which has been incorporated in Seattle’s new Bicycle Master Plan. We orchestrated two large public meetings to discuss potential Greenway projects in our neighborhoods. 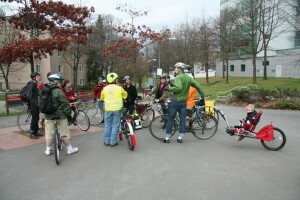 Organized three route planning rides. Safe Routes to Healthcare: CSG and Ballard Greenway volunteers engaged Swedish Hospital to survey how patients are arriving at healthcare and to identify safe ways the public can access the facilities as well as how patients can enjoy the surrounding neighborhood. BMP: We analyzed and responded to the proposed Bicycle Master Plan Network Map. Safe Routes to Transit: CSG volunteers shone a spotlight on the street car expansion needs for bikes and the Capitol Hill light rail station. Changing the Conversation: Our virtual activism engaged and informed neighbors about local pedestrian and bicycle issues through our Twitter, Facebook, and Google Group (follow, like, and join us!). Collaboration Is Paramount: As much as possible we tried to constructively collaborate with SDOT staff, WSDOT staff, City Councilmembers, executive staff, Capitol Hill Community Council officers, and Capitol Hill Chamber of Commerce board members, and the Cascade Bicycle Club amongst other groups. Melrose: CSG and the Melrose Promenade Advisory Committee will work to finalize and begin to implement a community plan for Melrose Avenue and Bellevue Place Park. SR 520: CSG will work with our allies to continue to advocate for family-friendly connections before the design is finalized. 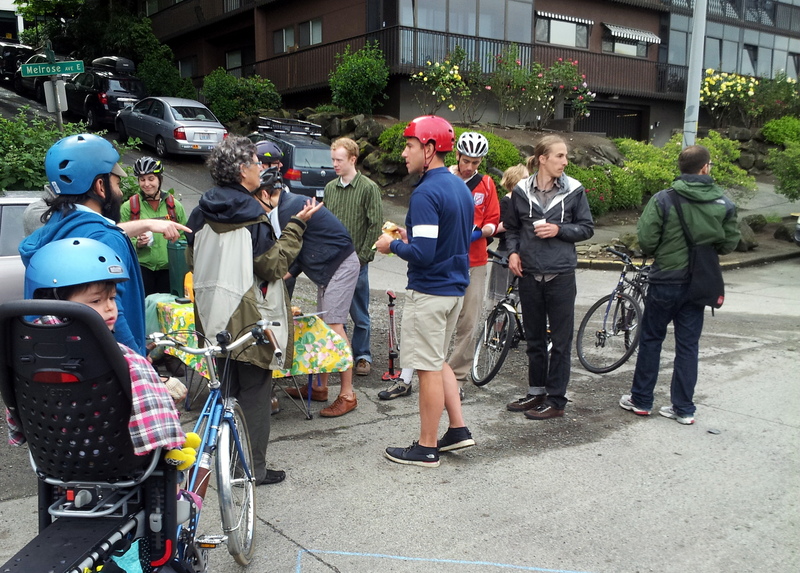 BMP: We will continue to analyze and try and shape the direction of the BMP so that it sets us on a path where all-ages-and-abilities connections are recognized as the key to creating better biking infrastructure in Seattle. Greenways – Central Ridge Route: CSG volunteers will team up with SDOT in the Fall of 2013 to begin to plan Capitol Hill and the Central District’s first greenway, what we are calling the Central Ridge Route (better name TBD). More information to follow. Safe Routes to Health: Volunteers will continue to work with area hospitals to address access opportunities and potential partnerships. Safe Routes to Transit: We will work with other Seattle Neighborhood Greenway groups and other organizations to continue to ensure that transit and walking/biking work together. 23rd Ave Redesign: CSG plans to advocate for all-ages-and-abilities friendly facilities as part of the redesign of 23rd Avenue. 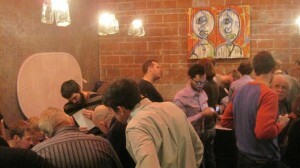 Events and Outreach: We are hoping to host more events in 2013. Get in touch if you have ideas you would like to share! If you simply want to stay informed we suggest liking us on Facebook and/or following us on Twitter (our Twitter and Facebook posts usually overlap). Additionally please feel welcome to subscribe to this blog (see the link on the sidebar), although we do not always post the most up to date news on this site. If you want to get more involved we suggest joining our Google Group and introducing yourself and what projects you are most interested in helping with. We don’t bite – promise! In 2012, Central Seattle Greenways (CSG) obtained a grant through the Department of Neighborhoods to initiate a community vision planning process around the Melrose corridor. Throughout the second half of 2012, members of CSG and the Melrose Promenade Advisory Committee (MPAC) coordinated a number of neighborhood outreach and improvement events – including regular Muffins on Melrose and community cleanups – to begin a conversation about what Melrose could be like in the future. The project has generated significant community interest, and in 2013 CSG and MPAC will be working to channel that energy into a community-driven and -supported plan for the corridor. 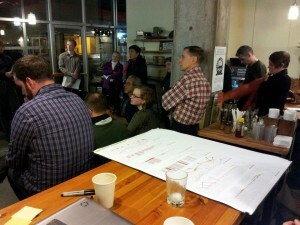 The MPAC recently selected Berger Partnership to lead the project’s design and community involvement processes, which began in earnest with our first public meeting on January 24th. The Advisory Committee is also working to capitalize on the Promenade’s early success and community interest by applying for additional grant funding when available. Folks interested in contributing to the Melrose Promenade efforts can visit the project’s website (www.melrosepromenade.com), Like the Promenade on Facebook (www.facebook.com/MelrosePromenade), or contact us directly atmelrosepromenade@gmail.com. For more about the 520 Campaign see our list of posts on the topic. The Safe Routes to Health project “envisions a city where every health clinic and hospital can be comfortably reached by walking, biking , wheelchair and transit.” We aim to partner with healthcare institutions to develop safe neighborhoods for active living and incorporate active transportation in healthy lifestyle choices. We are just now meeting with potential supporters from major healthcare institutions. Today we met representatives from Swedish Medical Center. They have designated a physician champion for Safe Routes to Health, and have committed to including information about active transportation choices on their website and to developing a transportation survey for clinic patients and visitors. Meetings with representatives from other healthcare institutions are in the works. See the Seattle Bike Blog post for more information and stay tuned. Message us on Facebook, Tweet us, post a message in our google group, or send us an email centralseattlegreenways at gmail.com. Thank you for your interest!